“I hope my children feel the joy of giving, not just a sense of obligation because it’s the right thing to do. 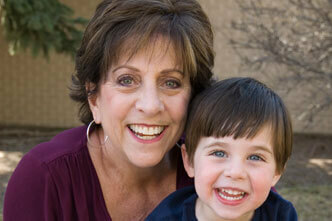 It should always feel good to help,” says Rose Community Foundation donor Lezlie Goldberg. Lezlie has four adult children in their late 20s and early 30s – sons Brett and Scott, and twin daughters Devon and Kyle. In 2007, Lezlie and her former husband Jan established a donor-advised fund at the Foundation and named their children as the fund advisors. Lezlie doesn’t remember a time when she hasn’t been an active volunteer, including serving on the Foundation’s Jewish Life and Philanthropic Services Committees.